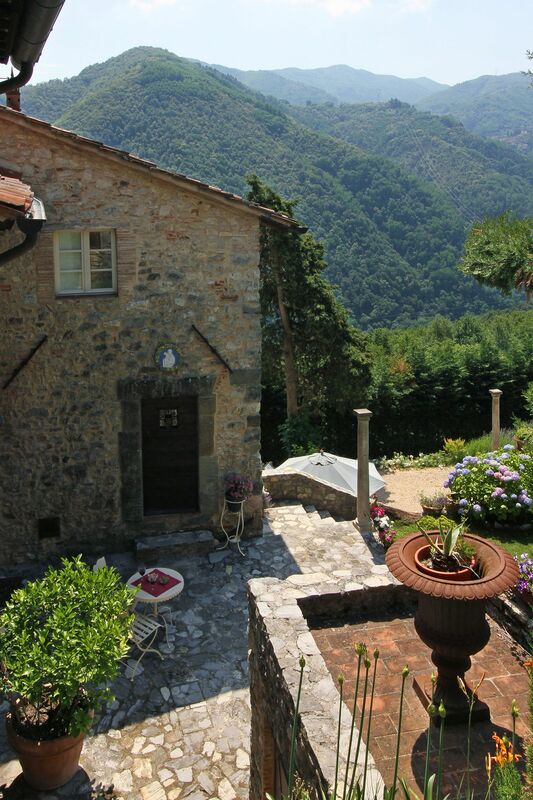 Gran Burrone (meaning "RIvendell" from "The Lord of the Rings") is situated in an ancient hamlet named "La Rocca" and dating back to the 11th century which was a former base for pilgrims and Templar Knights on their journey to the "Terra Santa" (Holy Land). 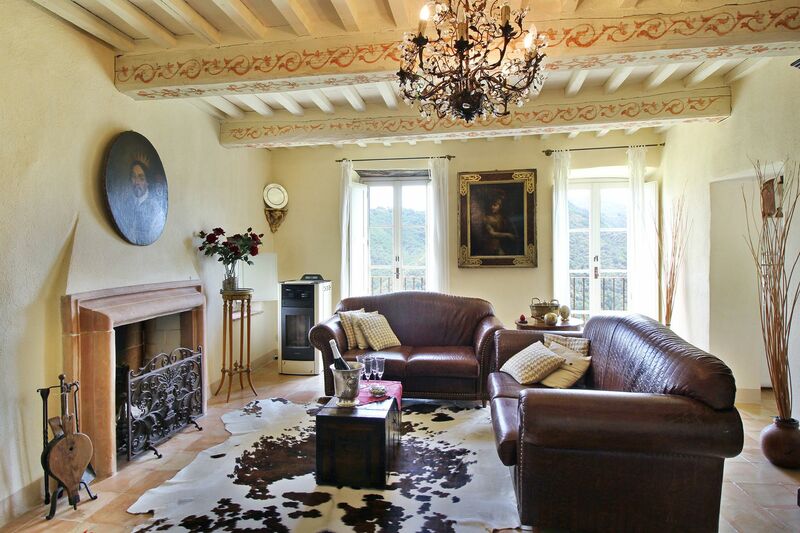 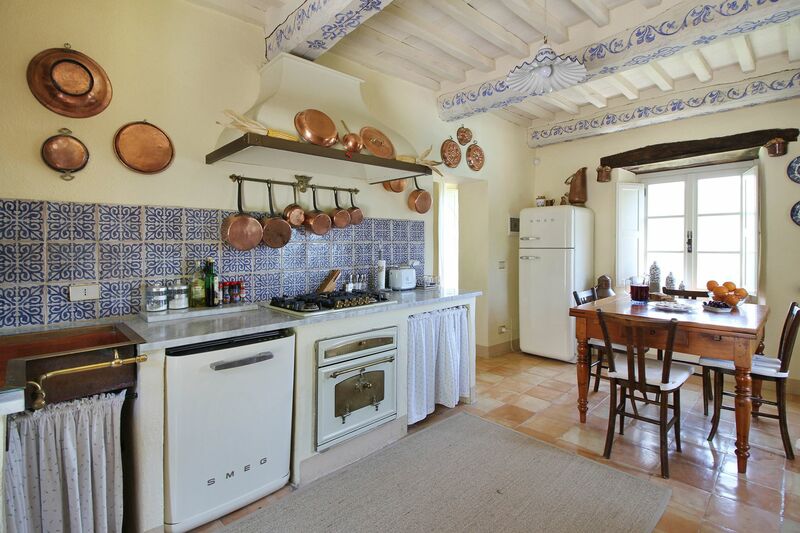 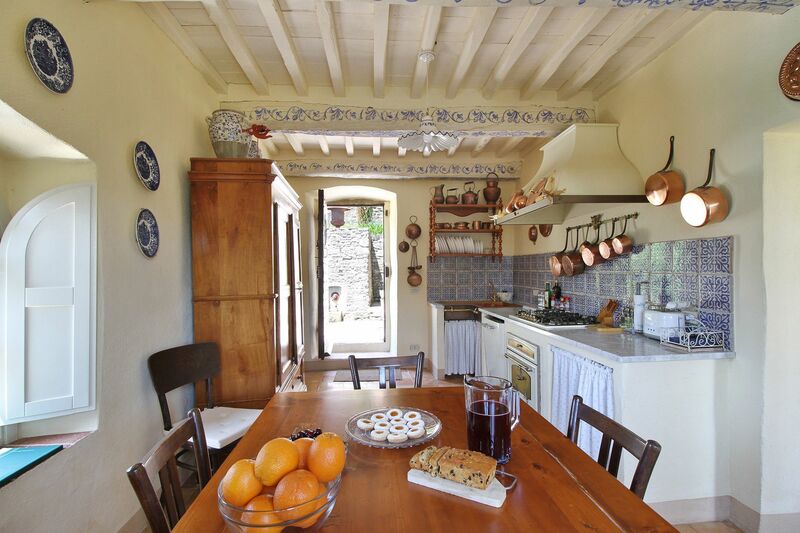 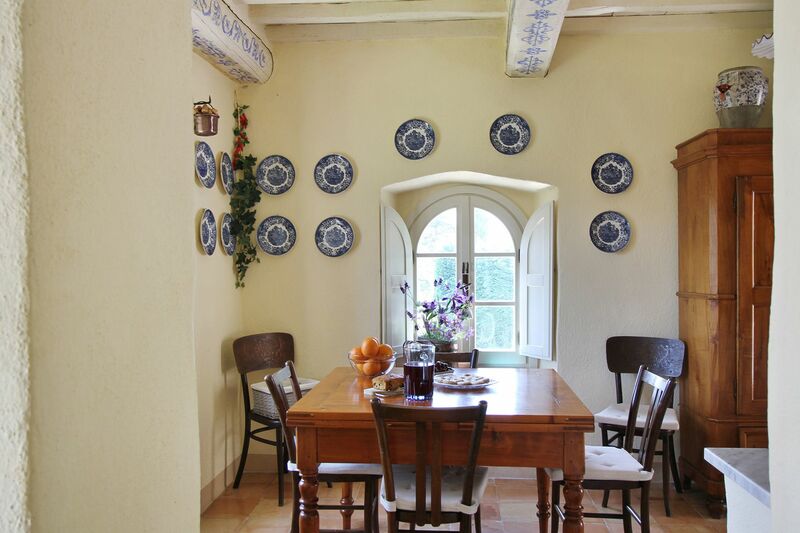 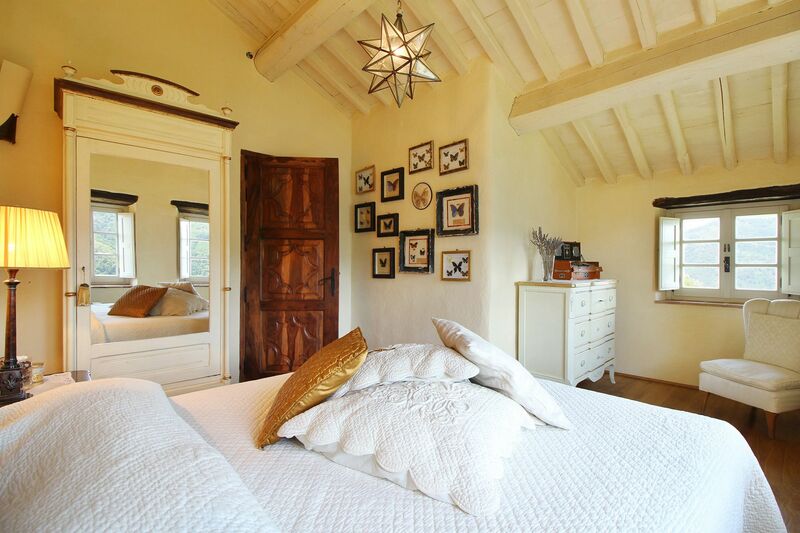 The owner recently bought what was once a ruin at the borders of the hamlet and restored it in total respect of the original structure, using antique materials, hand-made cotto floors and beamed ceilings. 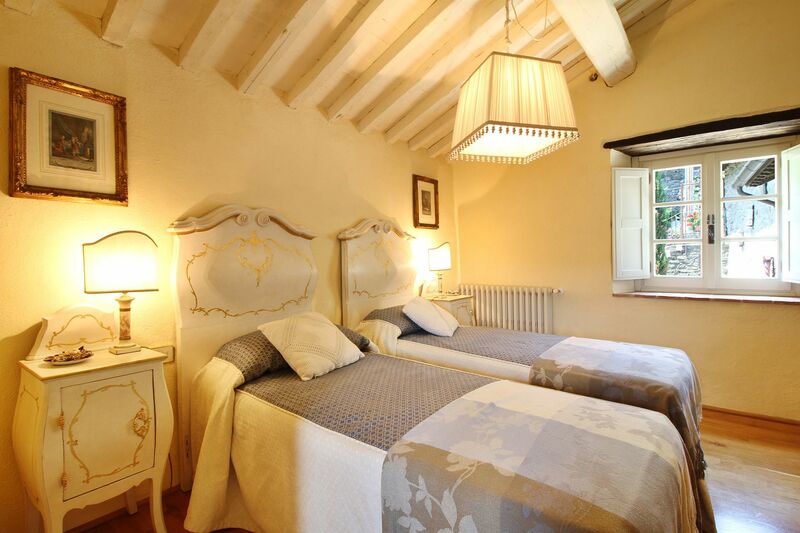 The interiors have been furnished very comfortably and with all modern amenities, including a relaxing room with Jacuzzi. 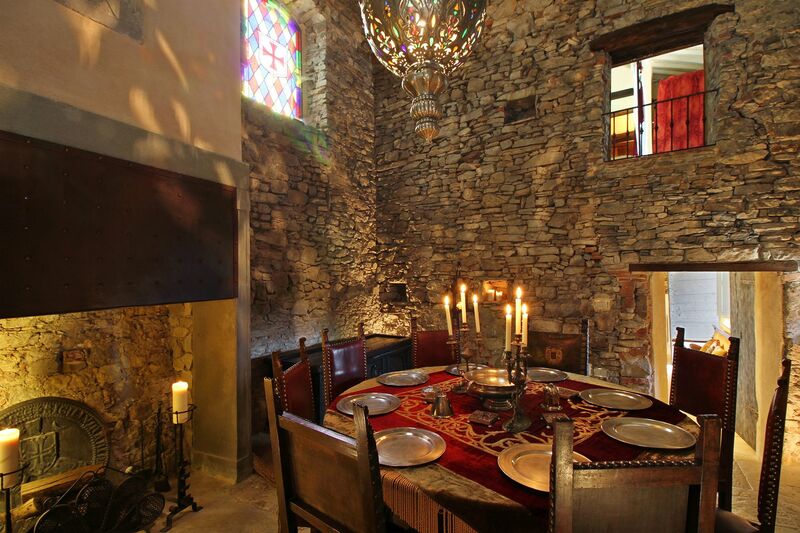 The particular 'knight theme' furniture of the dining room, with original metal armors and decorations reflects the owner's passion for the Templars' history adding a special atmosphere to the interiors. 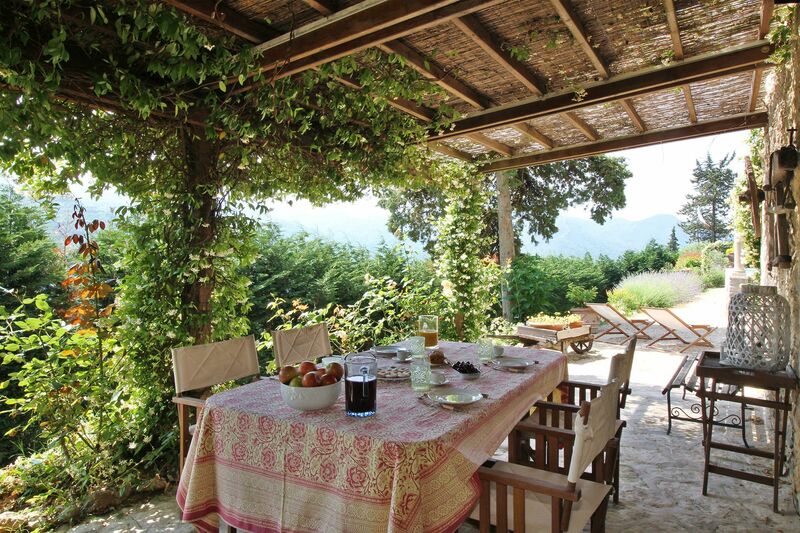 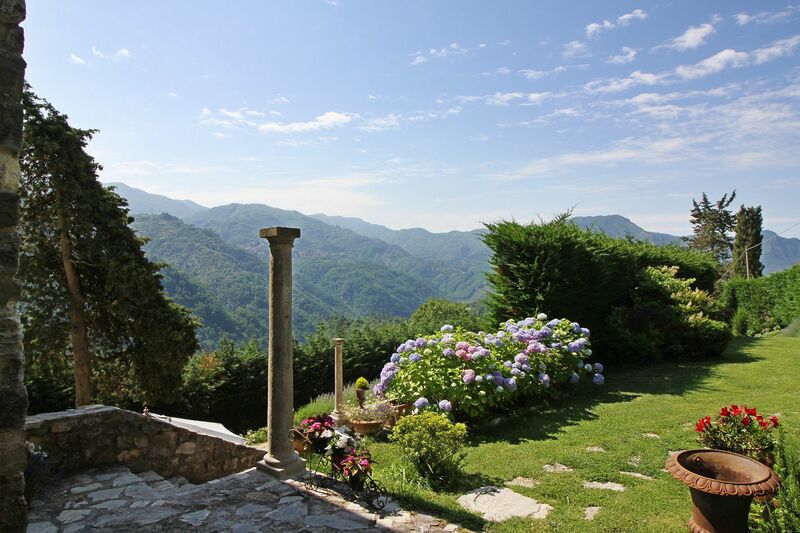 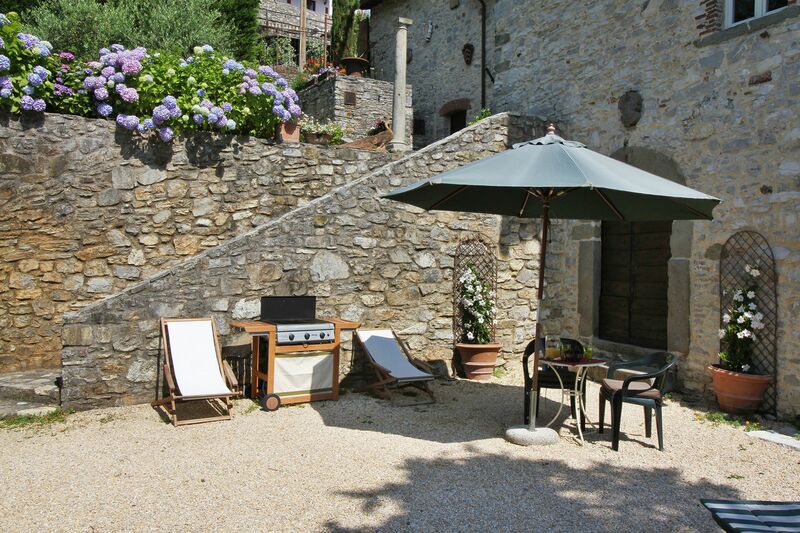 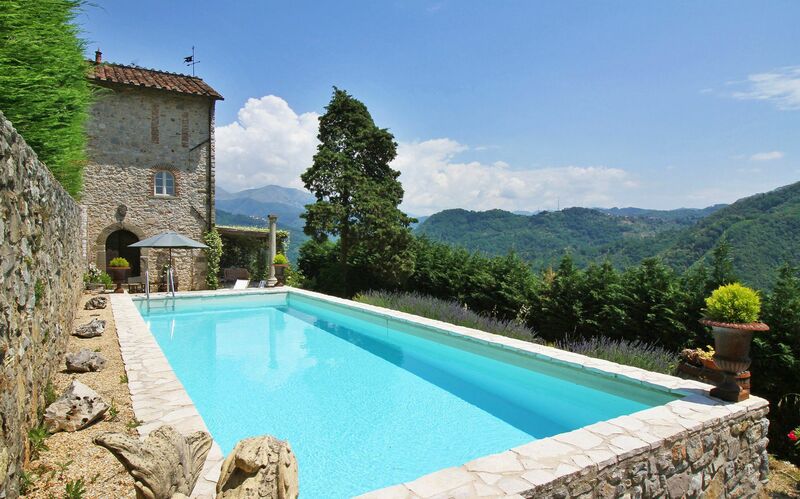 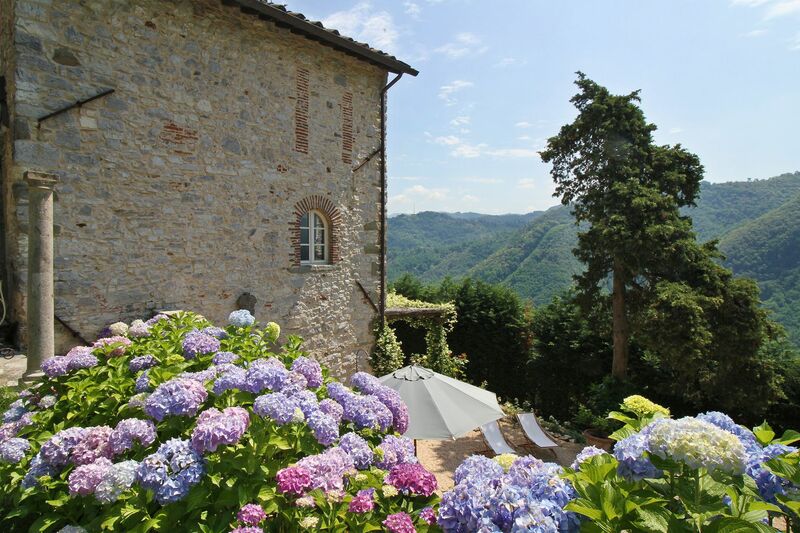 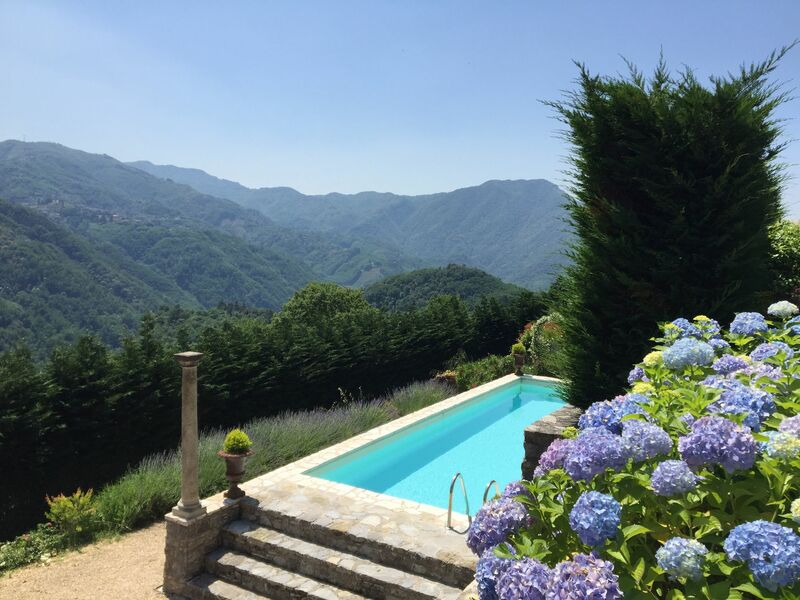 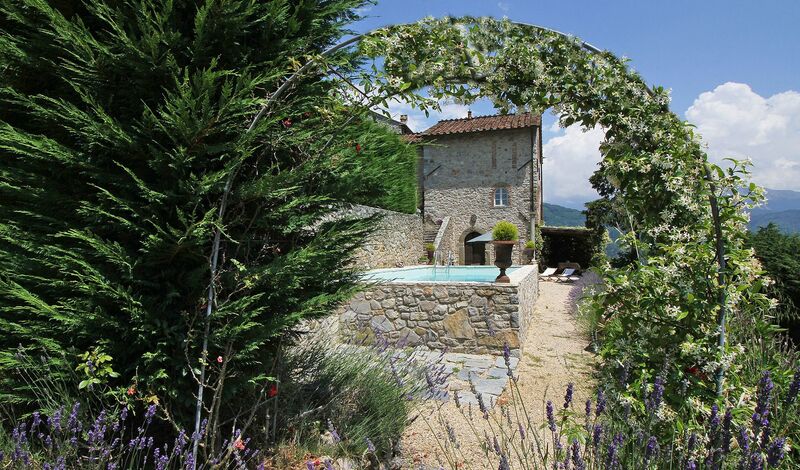 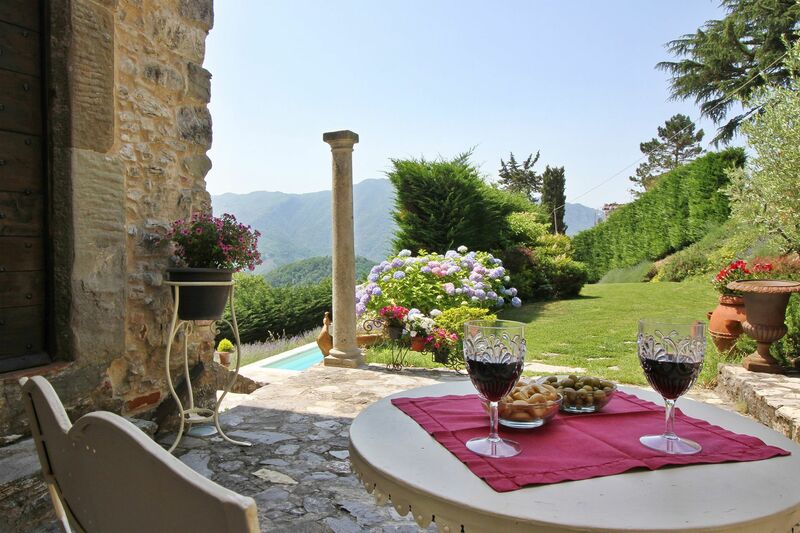 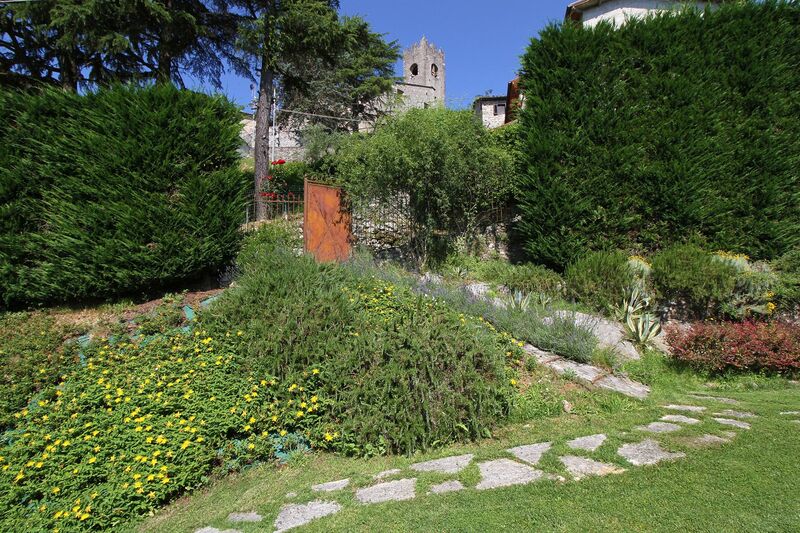 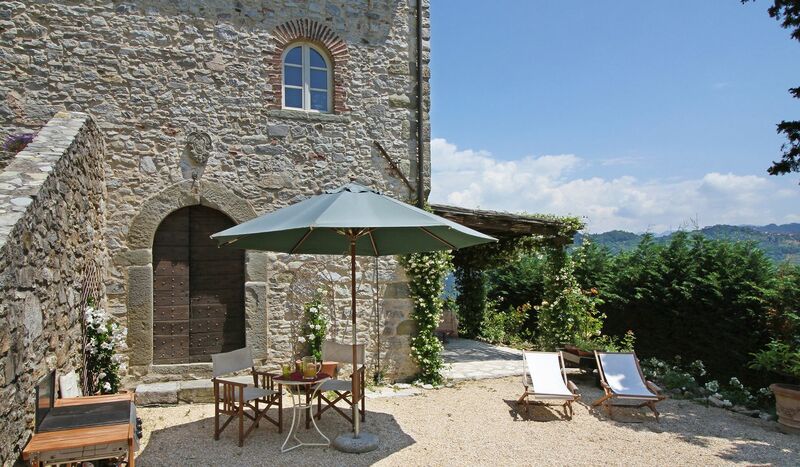 The property boasts beautiful views on the landscapes of Garfagnana, a very attractive and still unspoilt region north of Lucca. 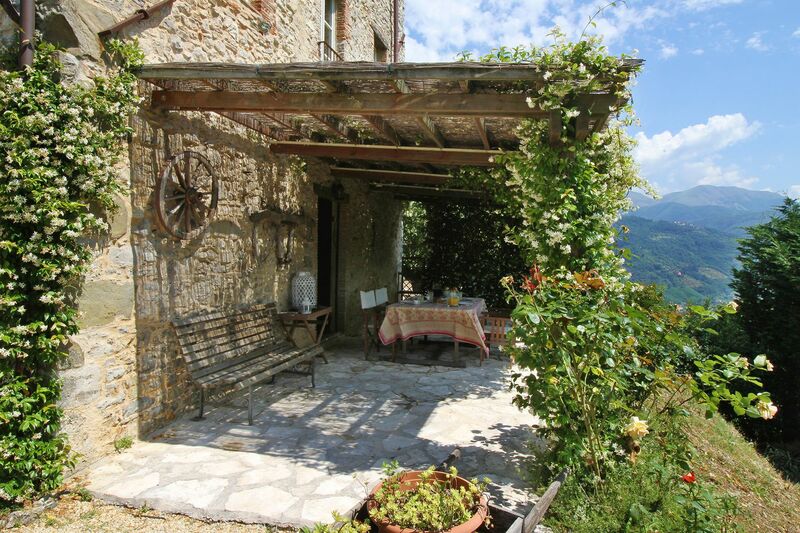 This is an ideal getaway for those fond of hiking who love exploring pretty villages and Romanian churches. 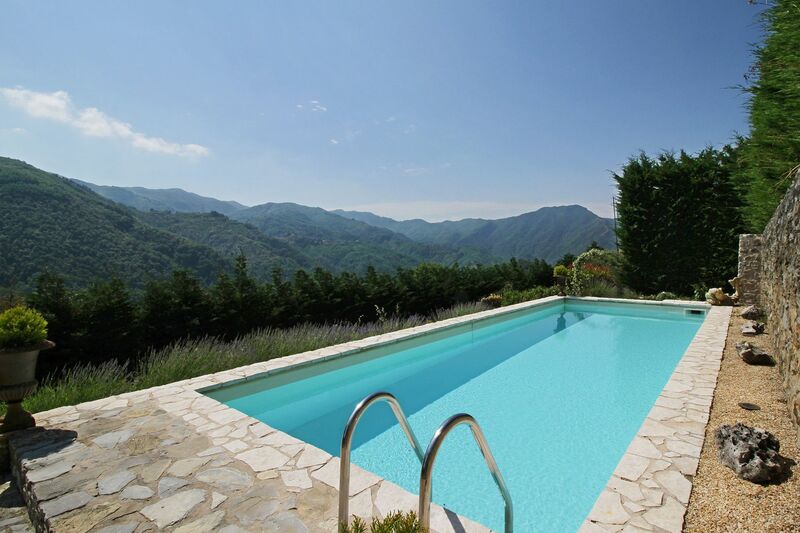 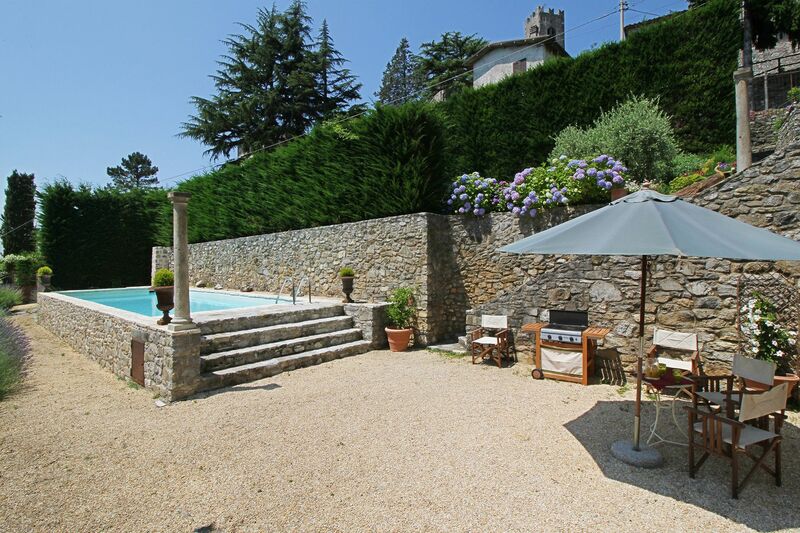 The swimming pool (3,5 x 10 m) has been placed on the most panoramic point on the estate, granting stunning views. 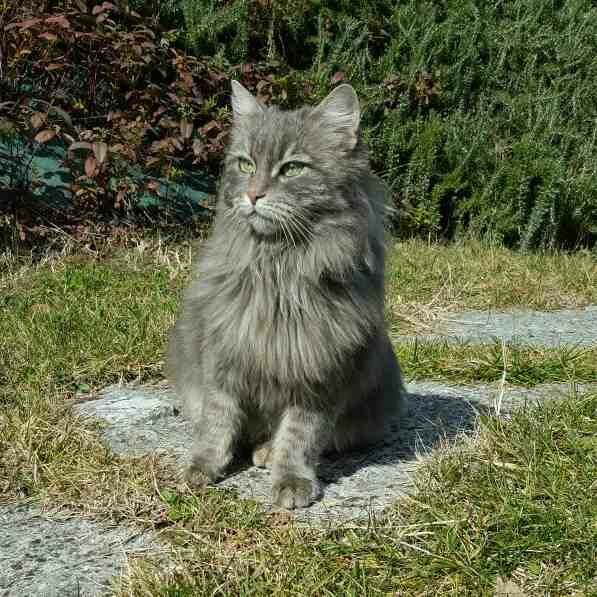 The neighbour has a cat that may came around during your stay. 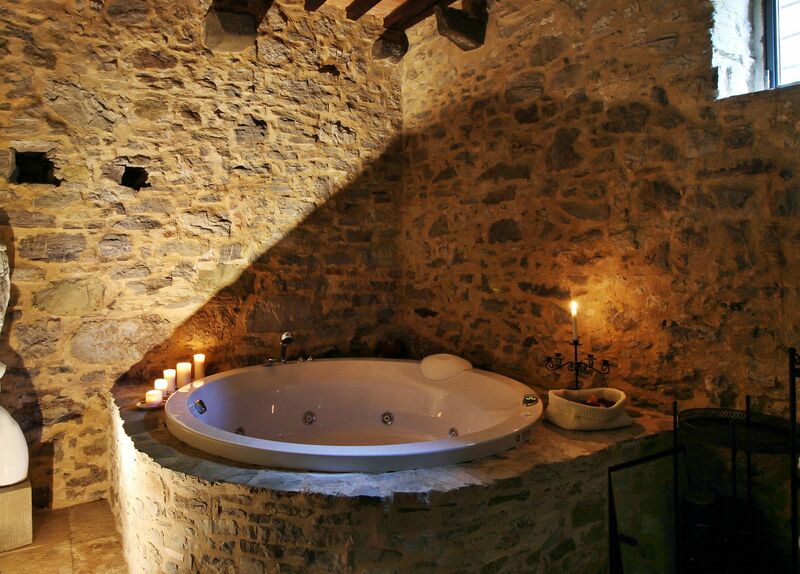 Thus we do not recommend this property to those allergic to cat dander. 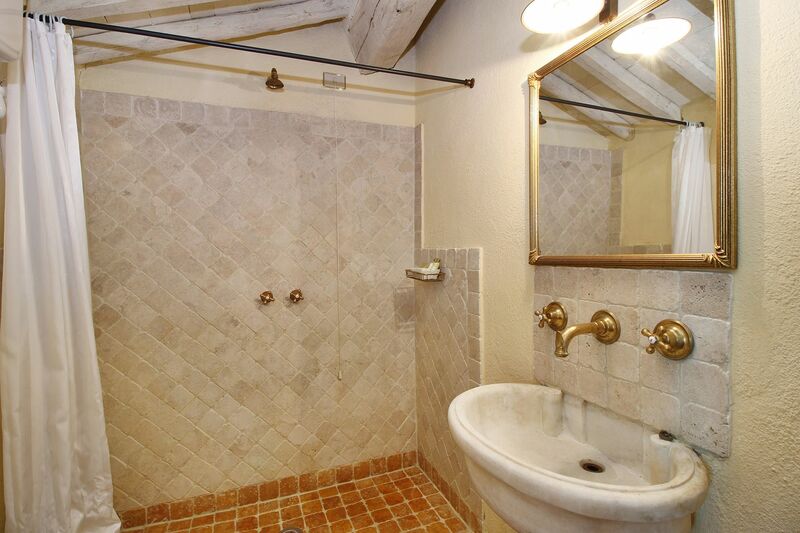 Cleaning service is included 6 hours per week. 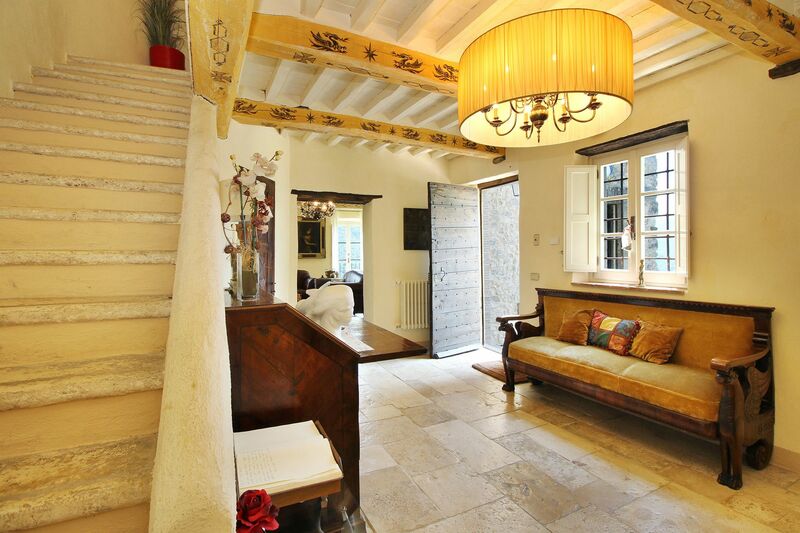 Entrance; sitting room with sofa bed, fire-place and Tv; dining room opening on to a courtyard; kitchen opening on to the garden; Guest bathroom. 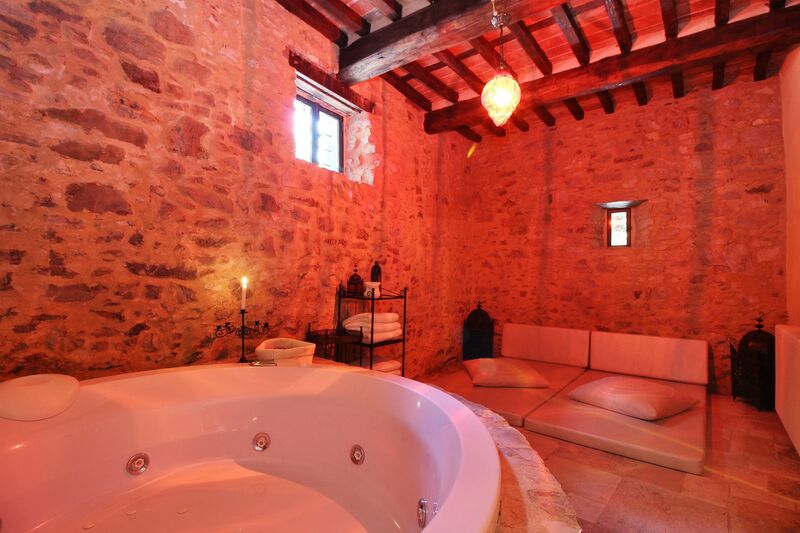 Relaxing room with Jacuzzi; cellar with fridge and washing machine, opening on to the garden and pool area. 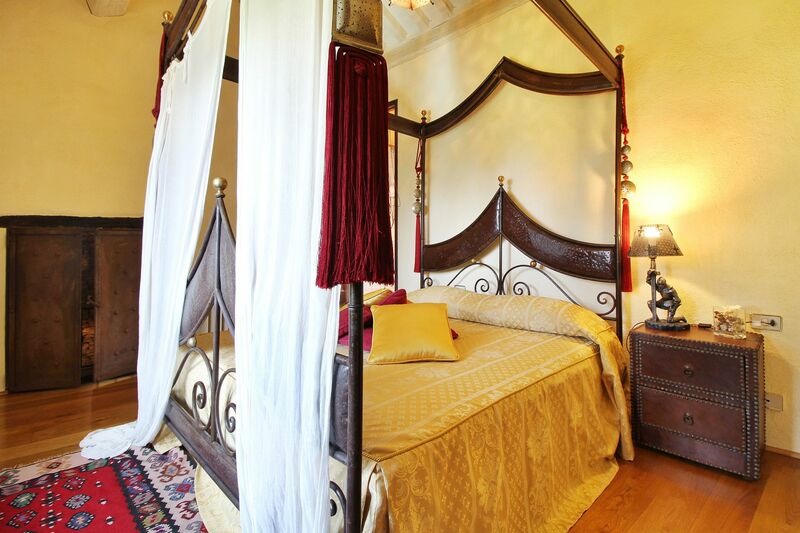 Double bedroom with four-poster-bed and small en-suite bathroom (shower); double bedroom; bathroom (shower); twin bedroom with en-suite bathroom (bathtub).